To protect the integrity of the construction industry and its law-abiding professionals, CSLB's Enforcement division — with the help of partnering state agencies and local law enforcement — works hard to hold accountable those contractors who harm consumers through illegal business practices. Below are several recent cases where CSLB investigations led to successful prosecutions — and time behind bars for offenders. Unlicensed window installation and painting business owners Daniel Kenneth Furness and Coleen Ann Gsell, of Monterey, have been sentenced to one year in county jail and ordered to pay $5 million in restitution to victims for illegal contracting practices, following a lengthy investigation by CSLB and prosecution efforts by the Monterey County District Attorney's Office. During the couple's Superior Court sentencing in May, Furness also was ordered to five years of formal felony probation; Gsell will serve three years of formal misdemeanor probation. Furness and Gsell each had previously pleaded no contest to nine criminal charges. Although never licensed by CSLB, Furness and Gsell owned and operated "windowdesign, inc.," "Window Design," and "Fresh Paint." The couple used CSLB license numbers that were assigned to legitimate contractors, and charged more than $4 million to approximately 600 different homeowners. Furness and Gsell were found guilty of cheating on disability insurance, unemployment insurance, and employer taxes by lying to the Employment Development Department about their company's payroll and number of employees. They also filed fraudulent personal and corporate income taxes and knowingly filed false Form 1099s with the Franchise Tax Board for two employees. One of their companies, "windowdesign, inc.," illegally recorded mechanics liens and filed lawsuits against clients, alleging that the company was licensed, and that materials had been delivered and labor or services had been performed. Both Furness and Gsell have begun serving their jail terms. An unlicensed operator with a long history of scamming consumers in the San Diego and Central Coast areas is behind bars as a result of his latest con job. 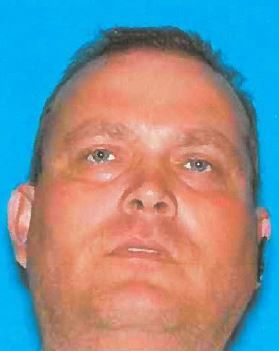 Alex Pike Mitchell's numerous prior convictions for contracting without a license and ripping off unsuspecting consumers earned him an entry on CSLB's Most Wanted list of egregious violators last year. CSLB investigations resulted in previous felony convictions against Mitchell for grand theft, theft by false pretense, contracting without a license, and failure to secure workers' compensation insurance. In the most recent San Diego County case, Mitchell pleaded guilty, on May 20, 2014, to a felony grand theft charge. As part of the plea process, Mitchell agreed to a four-year sentence with a 50/50 split of the time, meaning he will serve two years in San Diego County Jail and two years on mandatory supervision. Mitchell also was ordered to pay $9,300 in victim restitution. Mitchell often targeted the elderly or homeowners with long driveways, telling them that he was working in the area and had leftover paving materials. Once the contract was signed, Mitchell would collect down payments ranging from $1,000-$2,500 and never return to do the work. Michell's appearance on CSLB's Most Wanted list helped protect at least one homeowner from being victimized. While Mitchell was working at a job in La Mesa, an alert neighbor became suspicious and did an online check of Mitchell. He found Mitchell on CSLB's Most Wanted page and told the homeowner, who quickly fired Mitchell before giving him any of the money he agreed to for a new driveway.